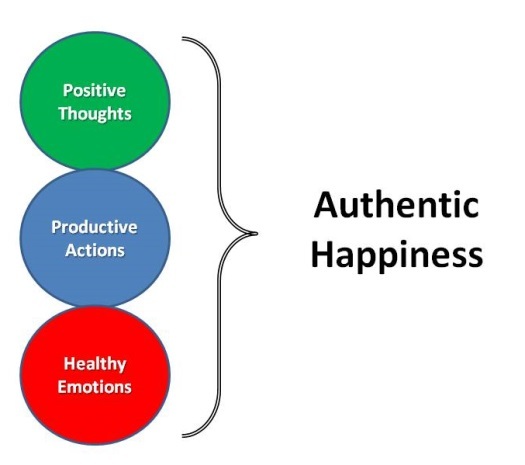 Authentic happiness, as suggested in the definition of "authentic," is genuine and believable. It also means that the happiness is not shallow or temporary, but more like deep and lasting joy. If you are authentic when you're expressing your good feelings, that would mean: when you say it, you really mean it. It would mean that you speak from your heart, and your actions match your words. When you have authenticity, people will trust you and rely on you. Let's look at how this works, and how you can go further in this direction if you choose. 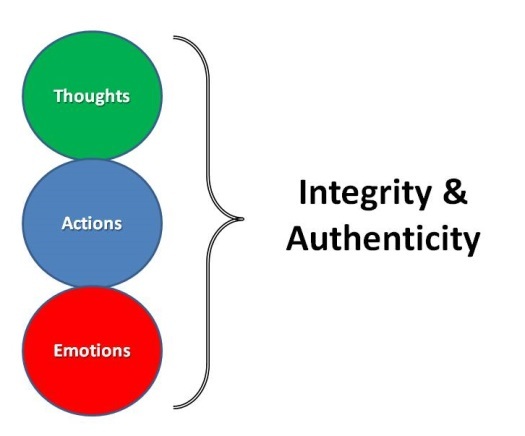 When your thoughts, actions and feelings are working together, you have integrity and authenticity. You mean what you say, and you say what you mean. People can rely on you, and they trust you. The implications for your relationships, both personal and professional, are tremendous. When you are known as a person of integrity, you will not only be attractive as a business partner, it will also be safer to love you in your personal relationships. Integrity basically means all the parts are working well together. When you are acting with integrity and authenticity, you will be more at peace with yourself, causing less stress in your system. You are always thinking, acting and feeling your emotions. Most of this is subconscious, but you can learn to be more aware and in control. When your thoughts are out of sync with your deep inner feelings, your actions will be inconsistent, and you will be unreliable and untrustworthy to others. When you know yourself at a deep level, speak from your heart, and act from your core values, you will have a relaxed and comfortable internal relationship with yourself. This relaxation will contribute to improved respiration, digestion and circulation, contributing to every aspect of your good health. When something has integrity, it is more whole, and to be whole is to be healthy. When you are operating with integrity, you will most definitely experience more authentic happiness. This is happiness that lasts. It is connected with the deep inner peace and joy of knowing yourself and feeling good about who and how you are. The benefits of true and lasting happiness are so tremendous it would be impossible to list them all here, but you'll get a good overview. A major key to positive thoughts, productive actions and healthy emotions is acting in alignment with your core values. You cannot have authentic happiness if you're not acting according to your own deep inner values. And you may not realize it, but you know exactly what they are. What are the five most important things in the world to you? What matters more to you than anything else? How do you want to be remembered when your life is over? When you write out your answers to these questions, you will find your values in there. Then ask yourself whether you're acting according to those values. This will give you a snapshot of your integrity and authenticity, and how close you are to authentic happiness. To build deep and lasting joy in your life, visit this web site often and subscribe to our updates. Goodfinding is all about helping you to create lots of short term and long term happiness.